The amount of the annual subscription fee of members and assistant members is defined by decision of the Board of Directors before the end of each year for the following one. The annual subscription fee should be paid during the first two months of every new year (January – February). Those who have, unjustifiably, not fulfilled their financial obligations by the end of the stated paying period, lose the right to vote and to be voted during the election process as well as the possibility of participating in the committees of the Association. Upon decision of the Board of Directors, vulnerable social groups, including people with disabilities, unemployed people and multiple children families, are subjected to special discounts as far as the subscription fee is concerned, given the provision of relevant documentation of evidence. Members have the possibility of concluding financial arrangements with the Board of Directors regarding their financial obligations. Once the arrangement becomes official, the financial obligation of the the member in question is regarded as completed. The Board of Directors formulates a special document making clear the conditions of financial arrangements. In accordance with the decision 17/2016, the Board of Directors has set the following policy for the subscriptions and registrations. Under article 5 of the Second Chapter of the Statute about Members and Financial Obligations, the Board of Directors, in agreement with the Central Fund, has set the following amounts for the annual subscription and registration fee. 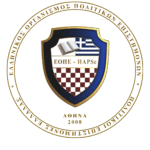 The submission of your fee should be accompanied by the name of the recipient – “Hellenic Association of Political Scientist” -. In the field of the explanation, please, fill in your personal details – Name and Surname -, the type of payment (subscription/registration fee) as well as the year that you are paying for. In exceptional cases, the Board of Directors may consider to discharge members from the obligation of paying the annual subscription fee.